Celtic’s Filip Benkovic celebrates his goal to make it 2-0. Odsonne Edouard grabbed a double as Celtic powered their way to within a point of Scottish Premiership leaders Hearts with a 5-0 hammering at Celtic Park. The Hoops cruised to a 3-0 victory when the teams met in the Scottish League Cup semi-final at Murrayfield last Sunday and they continued on the goal trail in the 19th minute when the 20-year-old French striker drove in a fantastic opener. On-loan defender Filip Benkovic scored his first Hoops goal in the 26th minute with a bullet header before Edouard capped a dominant first-half display in the 38th minute with a close-range finish. The goal brought the home side's goal tally in the last five domestic games to a remarkable 23 in a commanding display which will offer encouragement for hopes of a domestic treble treble and for their Europa League clash against RB Leipzig on Thursday night. Both clubs went into the game with their treatment rooms full of injured players but Hoops manager Brendan Rodgers, Scottish Premiership manager of the month winner for October, kept the same starting side from the 5-0 win at Dundee on Wednesday night. Craig Levein made four changes with Demetri Mitchell, Steven MacLean, Harry Cochrane and Jake Mulraney coming back into the side. 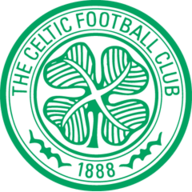 Celtic kept up the pressure almost from the whistle and Edouard made the breakthrough in spectacular fashion when he took a Scott Sinclair pass at the edge of the box and hammered the ball high past 'keeper Zdenek Zlamal and in off the crossbar. Zlamal then saved from left-back Kieran Tierney at his near post for a corner which was defended but when a subsequent corner from Callum McGregor was delivered into the box Benkovic, the 21-year-old Croatian defender on loan from Leicester, powered in a header from 10 yards. 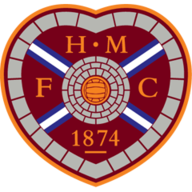 The home side piled forward for number three and in the 37th minute Hearts defender Michael Smith blocked a goal-bound header from Edouard but the striker made no mistake moments later from a Kieran Tierney cross, forcing the ball past Zlamal from eight yards out. The Edinburgh side appeared powerless and before the interval Zlamal saved from Tom Rogic before Christie came close with a header. Ben Garuccio replaced Mitchell for the start of the second half and the visitors showed some spirit but their task was simply overwhelming. In the 64th minute, just after McGregor had come close with a drive following a long run, Edouard played in Forrest who turned and fired the ball into the far corner from 14 yards for number four and his ninth of the season. In the 84th minute Garuccio rattled the post with a terrific shot from 25 yards as Hearts battled for a consolation but with two minutes remaining Wighton, on for Mulraney in the 81st minute, fouled Forrest inside the box with Christie sending Zlamal the wrong way with his penalty.